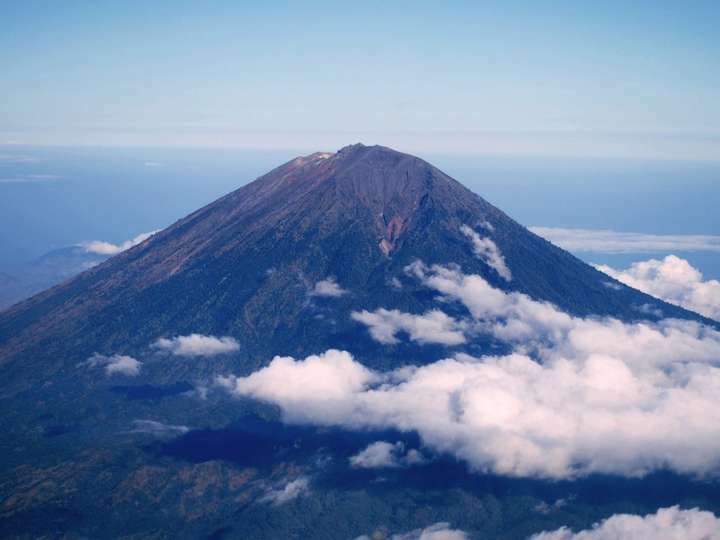 Mount Agung activities in Karangasem, Bali, are increasing. His status became alert with the recommendation of no climb or camp in the area of ​​the crater of Mount Agung within a radius of 3 kilometers. Mount Agung's increasing volcanic activity, PVMBG Geological Agency, raises status to level II (Waspada). Will this mountain erupt in the near future ?. Now, the status of Gunung Agung Bali is wary. Mount Agung Bali current activities seem to be erupting. Information gathered from PVMBG Geological Agency, seismic increase occurred consistently since mid-August 2017. On Thursday, September 14, 2017, recorded 7 times activity of deep volcanic earthquake, 3 times shallow volcanic earthquake and 1 times local tectonic earthquake. Today, recorded activity of the mountain at 0000-06.00 local time in the form of 8 times of deep volcanic earthquake and 3 times shallow volcanic earthquake. People, tourists and climbers are urged not to engage in activities within a 3 kilometer radius of the summit crater of Mount Agung or at an altitude of 1,500 Mdpl. Not yet known whether the tourism activity in Mount Agung has been temporarily closed or still running as usual. However, relevant agencies have made certain efforts for safety.